Planning to spruce up your home or garden this summer? We’ve been checking out some of the UK’s best home design bloggers and here is a selection of our favourites. 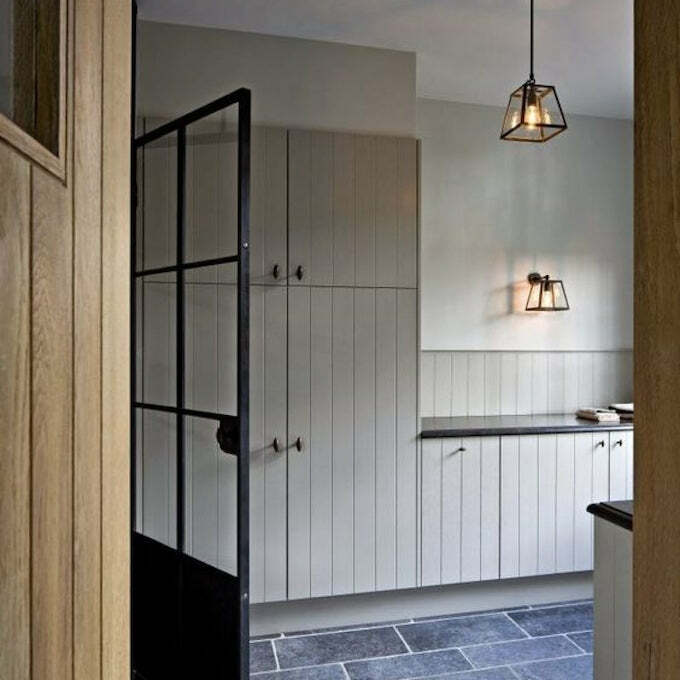 If you’re getting ready to start a renovation project, or just want to freshen things up a little, read on for some fantastic design tips and professional tricks of the trade. T&G panelling in the granny annexe is a neutral background for bright accessories. Interior designer Sophie Robinson is a judge on BBC2’s The Great Interior Design Challenge. Here, she lets us into her own home, sharing a personal project that many of us have on our to-do lists: building a granny annexe for her mum. Jazzing up an old outbuilding or shed? Sophie has a colour crush on black weatherboard cladding. She says it’s the black painted finish against vibrant greenery that does the trick that give the look its zing. Sophie’s ultra-stylish blog will inspire you to embrace your originality. Find out where to see the best apple blossom. Does your back garden get all the love? Blogger Jeska’s front door looked decidedly bleak, until she accepted B&Q’s invitation to take on the ‘make an entrance’ challenge. Find out how she swaps bare shingle for multiple blooms. If soulful spaces, moody tones and delicate rustic details appeal, you’ll love this blog. Check out Jeska’s beautiful images of apple blossom, and find out where you can go to see the best orchards in bloom. Use layers of lighting to create atmosphere, both inside and out. Considering a converting your garden shed into a ‘she shed’? Interior design blogger, Jen applies her professional expertise to the task. She says it’s vital to make the best use of light, just one of her top tips on creating a space where a woman can work, rest or play. A painted summerhouse at the end of the garden is a charming focal feature. Get the most out of your new summerhouse by making it the focal point of your garden. Not sure how to go about it? Let blogger Rebecca show you how she created her dream vista. Now all she needs to do is let the paint dry, and plant the climbing roses. You’ll find a treasure trove of home and garden design hints at Rebecca’s blog, Roses and Roll Tops. Laying a herringbone parquet floor? Husband Ben is a genius with a mitre saw, and Rebecca’s detailed photo-record shows you exactly what you need to do. Zesty vibrant tones work well in a garden. Is your early morning coffee in the garden spoilt by the view of your house? Take a look at blogger Amanda’s six steps to spring cleaning the exterior of your home. She says to start with the roof and guttering and work your way down. All done? Now Amanda turns her attention to garden seating. Her advice: be daring. That’s how she ended up with a pink chair, bright green bench and fun flamingo cushions. The Ana Mum Diary is a blog with style – you’ll love it. Plants add that special something to beautifully styled shelves. What, you didn’t realise that your shelves need to be styled up these days too? Journalist blogger, Kathryn, from Kat got the Cream offers a wealth of tips on how to re-organise your dresser or shelves for a unified look (that’s not too matchy-matchy). Lauren of Rock my Style updates an old wendy house to create a garden shed for tools. She opted for a grey-blue colour scheme. Check out her blog to see how well it contrasts with the existing planting. We also loved the piece by guest bloggers, indoor plant specialists Ro Co. They share their trade secrets to give you all the info you need to create your own indoor tropical oasis. Inspiring photography and words make this a go-to blog for anyone who want to make the most of their home. This renovation was inspired by New England style homes popular in the USA and Canada. Find out how blogger Clare from Maybush Studio transformed an old 1900s bungalow into a stunning New England-style home. What an amazing job; it’s almost impossible to believe it’s the same house. Get the lowdown on how she did it on her blog. Thinking of undertaking a renovation project yourself? Clare’s experience is invaluable. Discover the five overspends that paid off for her and her family. Replacing the log cabin in the garden wasn’t originally factored in, but it made a dust-free refuge during the build. The added bonus is that Clare now has a fantastic garden sewing room. Copper planters look great filled with lush greenery. Despite living in a rented home, blogger, Victoria, wraps her family in a stylish cocoon filled with soul and personality. Her tips on working with landlords to put your own stamp on a rental property begins with checking the small print of your tenancy agreement. A garden room, shed or habitable outbuilding is top of Victoria’s list when she’s looking for a new house. Join The Owl and Accordion blogger as she transforms her damp conservatory into a warm, inviting living space. Victoria says: “I think about blankets the way my friends think about shoes; you can never have too many”. Do you plan to begin an interior or garden project? Or have you found a blog that’s inspired you to try something new in your home? If so, we’d love to hear from you on our Facebook page.